Gordon College burst into the news last June when President Michael Lindsey was a signatory to a letter to President Obama requesting religious exception for his upcoming Executive Order (he didn’t grant the request). Suddenly, media stories appeared asking about Gordon’s policy toward LGBT students even though Gordon College had nothing to do with the executive order. City agencies and school systems started saying that Gordon couldn’t use their facilities. Then word came that the New England Association of Schools and Colleges, Gordon’s accrediting body, was putting the college on the agenda for the September commission meeting. The NEASC made clear that the accreditation wasn’t at risk in the September meeting, but at the meeting they requested that Gordon provide a report reviewing their policies on sexuality to insure that they didn’t violate commission standards due in September of 2015. Contrary to recent media reports, Gordon’s accreditation is not in jeopardy, as its admission and employment policies have always been in full compliance with the NEASC Standards for Accreditation and with nondiscrimination employment law, which has been in place in the Commonwealth of Massachusetts since 1989. I have served as a regional accreditation evaluator in both the Northwest Commission on Colleges and Universities (NWCCU) and the Western Association of Schools and Colleges (WASC). I have been trained as an evaluator for the Higher Learning Commission (formerly North Central Association). I have been part of four full-scale visits, three focused visits, and served on a program review council. I have written numerous reports to accreditation agencies and two full scale self-studies. Needless to say, I’ve developed a fairly good read on the logic of regional accreditation. Accreditation is a peer-review process. The “standards” are developed by representatives of the various educational sectors in the region and every school has the opportunity to advise and consent on new policy standards. When evaluators come to the school, they tend to represent like institutions (I always went to private special interest, usually faith based, institutions). This does get confusing when regional accreditation is the gateway to the Title IV financial aid funds but it’s an indirect linkage between institutional accreditation and the DOE. More importantly, the central driver of regional accreditation is the unique mission of the institution. In the regions where I’ve served, it’s the very first standard to meet. You make clear who you are as an institution, the ways in which that is distinctive, and the mechanisms the administration and board use to prevent “mission drift”. Every other standard or policy is read through the lens of that mission/identity. The standards set general guidelines (“school has an appropriate student life office“) but the specifics of what that means is left to the institution to describe in ways that flow from its unique mission. Sometimes, events arise that result in a question being raised by the accrediting body. The question in asked in the spirit of “how have you ensured that this situation doesn’t fall outside standards within the context of institutional identity“. It then falls on the institution to do an internal quality assurance review and respond to the question. I had an example that reminded me of the Gordon College situation. As an evaluator, I pledged to protect the confidentiality of the schools I visited, so I’ll paint with broad strokes. This school had a distinct religious mission. It also had experienced a conflict between faculty and administrators over a particular matter that put issues of intellectual inquiry and religious mission in tension, a conflict that spilled out into the local newspaper. As we were preparing to visit the institution, we were told of these circumstances and that it was likely that they’d come up in our meetings with campus personnel. We worked hard not to take sides in the matter, but used the opportunity to suggest that the institution review its policy on intellectual inquiry within the context of its religious mission. This is exactly how Gordon is responding, as the statement from the NEASC makes institutional identity very clear. At its meeting on September 18, 2014, the Commission on Institutions of Higher Education, NEASC, considered whether Gordon College’s traditional inclusion of ‘homosexual practice’ as a forbidden activity in its Statement on Life and Conduct was contrary to the Commission’s Standards for Accreditation.Gordon College President D. Michael Lindsay earlier submitted information about Gordon College, its mission as a Christian institution, its evangelical Christian identity, and its history of respectful self-critique and of dialogue with individuals of diverse backgrounds. The Commission found the information submitted by the College to be thorough and pertinent. 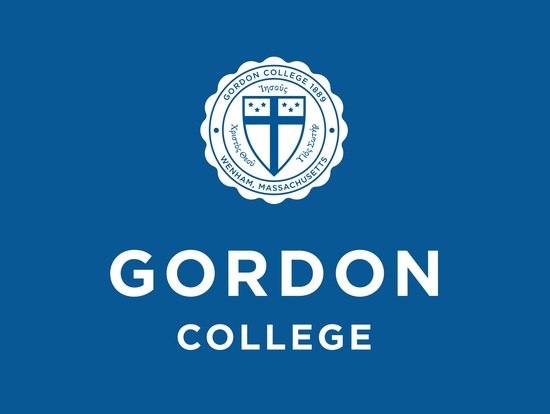 It commends Gordon College for undertaking a period of discernment over the next twelve to eighteen months.The process will involve convening a working group of 20 representative trustees, faculty, administrators, staff and students to study the matter and conducting a series of robust discussions among a variety of Gordon constituencies to learn from them. Any change in Gordon’s current policy is a responsibility of its Board of Trustees. The Commission has asked the College to submit a report for consideration at the Commission’s September 2015 meeting describing the process and its outcomes, to ensure that the College’s policies and procedures are non-discriminatory and that it ensures its ability to foster an atmosphere that respects and supports people of diverse characteristics and backgrounds, consistent with the Commission’s Standards for Accreditation. 11.5 The institution adheres to non-discriminatory policies and practices in recruitment, admissions, employment, evaluation, disciplinary action, and advancement. It fosters an atmosphere within the institutional community that respects and supports people of diverse characteristics and backgrounds. Like everyone else, I have my suggestions on how they could go about ensuring non-discrimination within the context of institutional identity. But that’s not my job nor the job of any blogger nor the job of the NEAC (as they observe). It’s Gordon’s task as an expression of their commitment to mission. Gordon will be able to respond to the questions within the context of their mission with little difficulty (beyond a few more committee meetings). Moreover, they will be stronger for having done so as they revisit practices and policies in the context of institutional identity. Gordon will continue to be a distinctly Christian institution accredited by the NEAC for years to come.